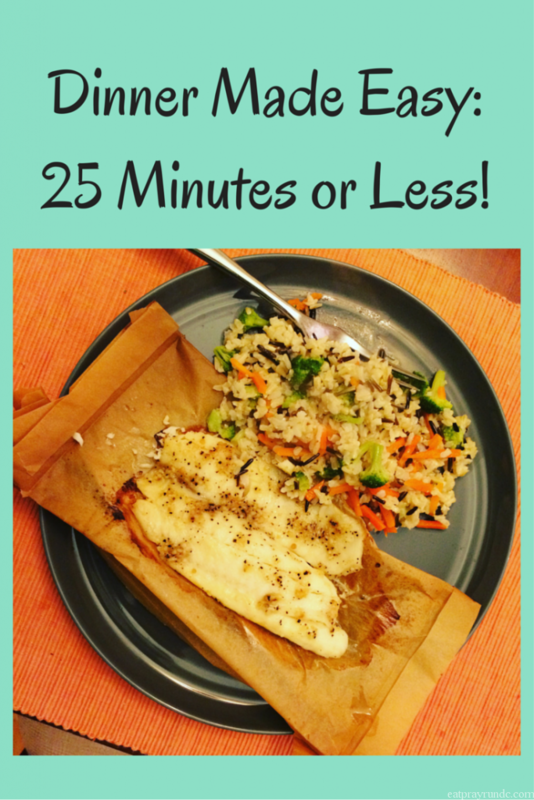 Delicious Dinner in 25 Minutes or Less! Yes, I am promising a delicious dinner in 25 minutes or less. I know what you might be thinking – that I was able to do it in 25 minutes but you never could. Trust me, I’m the queen of taking way longer than a recipe promises because I’m just a bit slow in the kitchen. However, this recipe is Courtney tested, which basically means it’s idiot-proof. You can’t mess it up! I absolutely love seafood – I mean, I live in DC, are you surprised? I’m also often of the habit of buying frozen seafood and then cooking it for dinner – but sometimes that can be arduous. You know what I mean, you intend to leave your frozen fish in the fridge before you head out to work, but you forget and then you have to defrost it but you push the wrong button and defrosting soon moves into cooking. Yuck. Lucky for us all, I’ve found a super easy way around this. 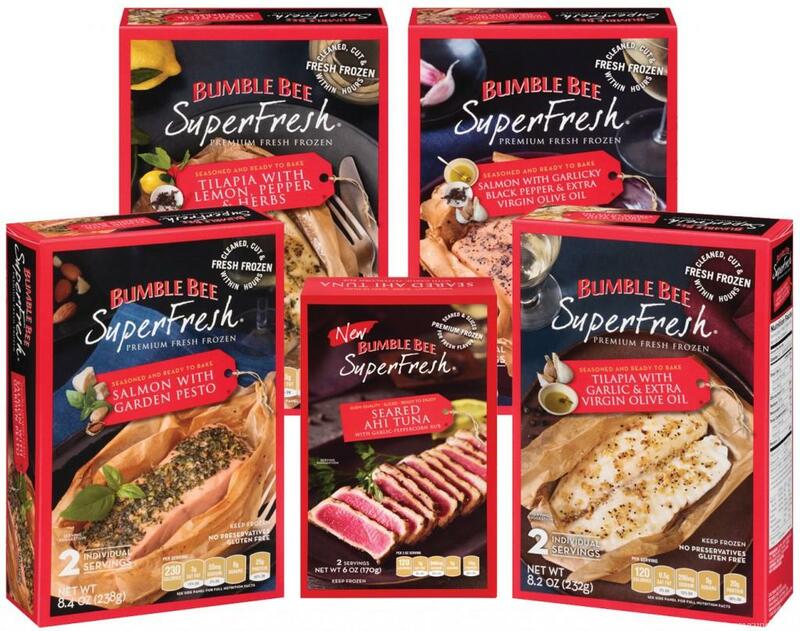 Bumble Bee SuperFresh® is premium fresh frozen fish that you do not have to thaw out! That means it goes straight from the freezer to the oven, to your plate in less than 25 minutes! This is a total win, my friends. 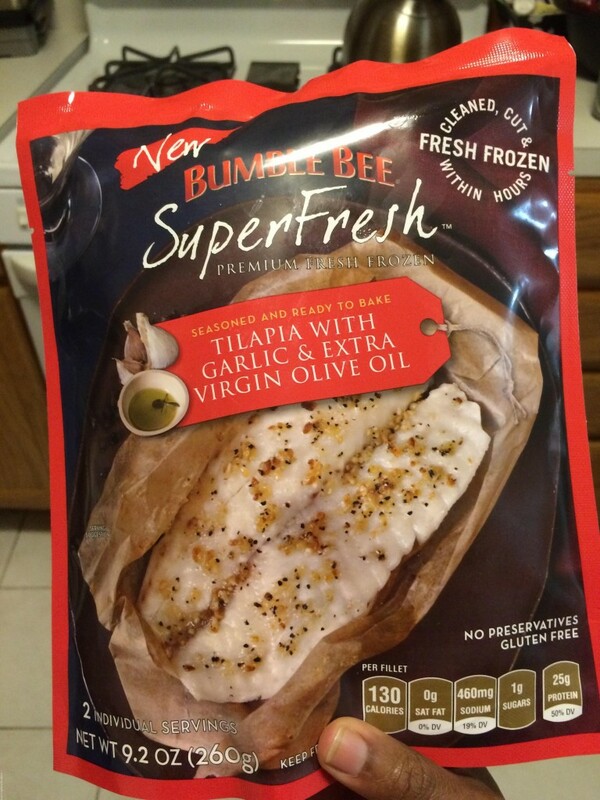 Grab the Bumble Bee SuperFresh® from the freezer and pop the filets into the provided parchment packets. Fold over the parchment packets so they are closed and pop in the oven for about 17-20 minutes. While the fish is cooking, cook up some quick veggies for a side. I did brown rice and a frozen veggie mix, but you could also do quinoa, kale, chard, or a bunch of leafy green veggies that will cook up in less than 20 minutes. Once the fish is cooked, all you do is open the parchment paper and serve. I actually served the fish on the parchment paper because it was kind of fun eating it that way. I absolutely loved this meal. The fish was flaky and seasoned really well – the fish was seasoned with garlic, and extra virgin olive oil and I found it to be so well seasoned that I didn’t have to add anything. This fish is super high in protein and I loved that the ingredient list was just the fish and seasonings. No heavy sauces or breading or unrecognizable ingredients. Also, none of that “fishy” smell that sometimes turns folks off of seafood. The whole Bumble Bee SuperFresh® line really is restaurant quality. My expectations for frozen food have been upped – they have raised the bar! I am so glad that now I’ve got some excellent frozen fish ready to go that can be on the table in less than 25 minutes. Dinner is saved! Visit the Bumble Bee SuperFresh® website for a coupon so you can try these delicous SuperFresh® products for yourself! I actually had no idea Bumble Bee made anything other than the canned tuna. Thanks for sharing these. Neither my husband or I really like cooking that much so shorter cooked meals are an absolute must. Yeah- this new line is pretty amazing. Not having to thaw out the fish is a total game changer for me!! That does look super easy! Did not know that they had frozen meals. Great option for my husband and kids on a busy weeknight. Yes – perfect for that!! Oh good to know! I’ve been scared to cook (and spend money) on fish dishes b/c I am afraid they will come out tasting “fishy” – will look out for this next time I’m at the grocery store. They are really tasty and SO easy! This is just awesome, Courtney – I had no idea that Bumble Bee sold anything like this! I’m going to keep an eye out for it…I am all over any kind of fast healthy dinner! I think you’ll love this Michelle – it’s SO delicious and good for you! I have been very impressed – I’m sure you will LOVE em! Quick dinners are a must! Especially now that it’s dark at like 5pm. My body goes straight to lazy mode in the evenings. I am all about quick and easy dinners. me too, girl, me too! I can get behind frozen meals that don’t have any extra added junk to it! I’ll look out for this at the grocery store this weekend. My fiance doesn’t eat fish, but I might just have to try it myself! I found them at Safeway here in DC! Oh, very cool! I haven’t seen them before. 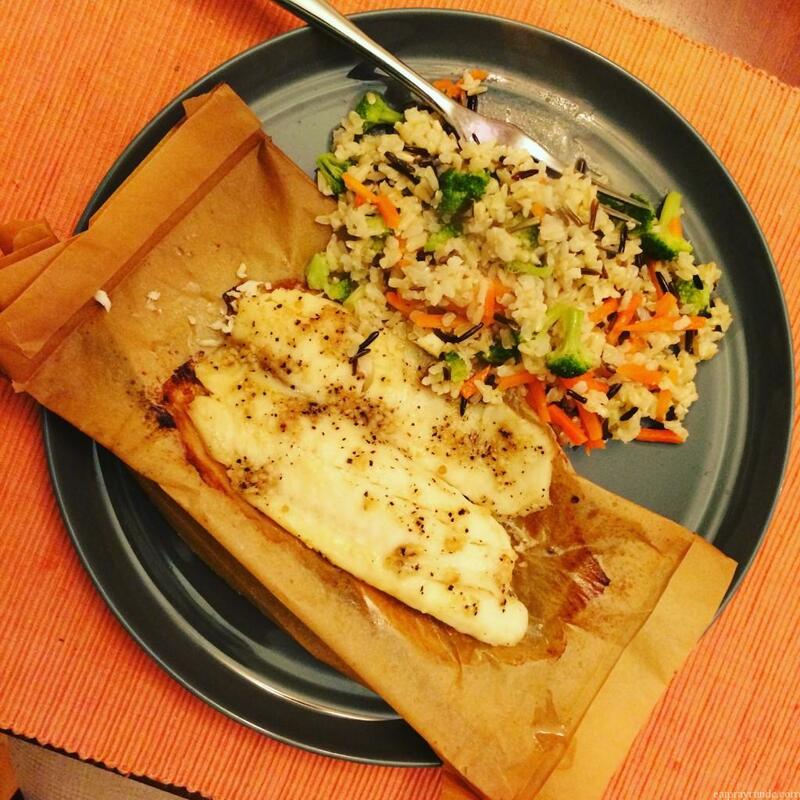 I love cooking fish in parchment, so much more flavor! !